First of all, the team at Imagine Dental helps people have healthy, beautiful smiles. This is thanks to our state-of-the-art approach to dentistry. When the problem is tooth loss, this generally means traditional dentures or dentures supported by dental implants. Additionally, we answer many questions about traditional dental appliances and appliances supported by dental implants. Let’s take a moment to compare compare removable dentures and implants-supported dentures. Traditional dentures are appliances that you wear in order to address major tooth loss. Traditional dentures are best for people who are missing many or all of their teeth. The dentures hold in place by bracing around the remaining jawbone and gum tissue of the patient’s dental arch. With a denture in place, a patient can bite and chew as they normally could. Dentures also allow patients to smile with confidence again. The best candidates for traditional dentures are people who are missing many teeth. They should be in good overall dental health. Dentures can restore the upper dental arch and lower dental arch. Implant-supported dentures refer to dentures that anchor into place using dental implants. Dental implants are artificial tooth roots. These artificial tooth roots surgically embed into the patient’s jawbone and gum tissue. 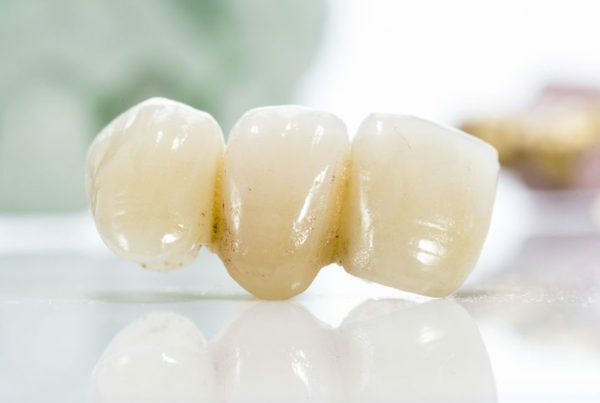 In essence, the dental implants work just like natural tooth roots and dentists use them to support dental appliances such as dental bridges, dentures, and even individual dental crowns. It’s common for dentists/oral surgeons to use least four dental implants to support a set of dentures. There are different dental implant configurations to consider. The different implant configurations can be customized to the patient. The best candidates for implant-supported dentures are people who are missing many, most, or all of their teeth. They should have enough jawbone density and gum tissue in place to secure the implants, and they should not suffer from medical problems that would make oral surgery a potential risk to health and wellness. It’s important for patients to have realistic expectations about the treatment process, which includes the recovery process and the side effects of surgery. 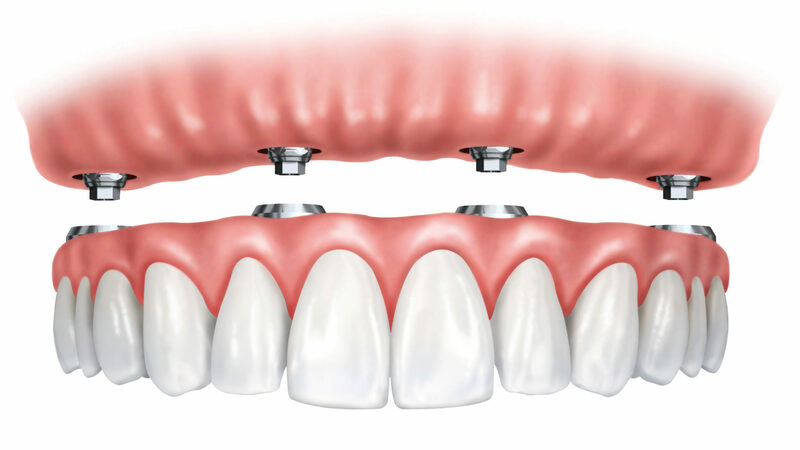 Dental implants offer a level of stability and security that you cannot achieve with traditional dentures. The dental implants also prevent bone loss and gum recession from occurring. Both of these problems commonly associate with tooth loss, and only dental implants can prevent these problems from occurring. By and large, the key issue regarding implant-supported dentures is the question of candidacy and eligibility. Some patients may simply not be good candidates for implant-supported dental implants. In these instanced, traditional dentures are a better option to address their tooth loss. 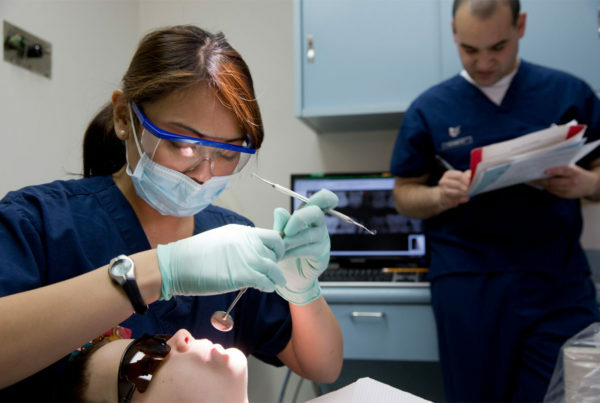 In addition, implant dentistry is more expensive and requires a months-long healing process. Patients who have an issue with these matters may prefer traditional dentures. Our primary goal when it comes to dental care is to provide patients with customized solutions that address their needs. During the consultation process, we will go over all of your treatment options in full detail. We can offer insights into the advantages and disadvantages of any proposed treatments. This will help you make confident and well-informed choices when it comes to your dental care options. In conclusion, to learn more about dental implants and whether or not they are the right option for you and your needs, be sure to contact our team of cosmetic and restorative dentists today. The team at Imagine Dental is here to help you smile with renewed confidence.